Africa is really in the gray as far as BitCoin is concerned. Apart from this, there is a lot happening in the Bitcoin marketplace, which is providing new opportunities for investment and enterprise. Bitcoin is increasingly being adopted by both individuals and merchants around the world. However, there is still a lot to be desired with the infrastructure used to make and mine Bitcoin. In Africa, the case is a little different. Although this online currency is quite popular in the Western World and the Asian subcontinent, we are yet to accept and embrace this revolutionary digital currency in Africa. The leading countries in terms of Bitcoin adoption in Africa are South Africa, Ghana and Kenya. However, it is likely that Bitcoin will face a number of challenges before it finally manages to change the socio- economic landscape of Africa. At the moment, the Nokia 1100 series is among the most popular smartphones on the continent. This phone allows people to access mobile banking services. It is also simple in design and easy to use, making it ideal for the adoption of Bitcoin. With the decline in the cost of purchasing and owning a smartphone, more people can now afford to own one. Therefore, the penetration of the smartphone into the African market will make it possible for a functional BitCoin system to sustain itself in a couple of years. Internet access is now commonplace in Africa. This is actually one of the reasons why we have managed to jump the debit and credit card phase and gone straight to mobile banking. Kenya was among the first countries in the world to create a seamless, easily understandable and widely used mobile banking platform (M-Pesa). However, internet access is expensive and the quality of service wanting. Once this problem is addressed, then BitCoin (which works on online platforms) will easily be integrated into the African way of banking. Literacy levels have also gone up on the continent, thanks to global exposure and visible benefits of education. Most literate African own smartphones. Therefore, they are more likely to be excited about the prospect of being able to easily send and receive money through their phones. As it stands, BitSoko has already organized 3 BitCoin meet-ups at Kenyatta University. The response from these meet-ups was very encouraging. News about BitCoin is spreading really quickly and the educated masses are becoming increasingly interested in this new and revolutionary digital currency. 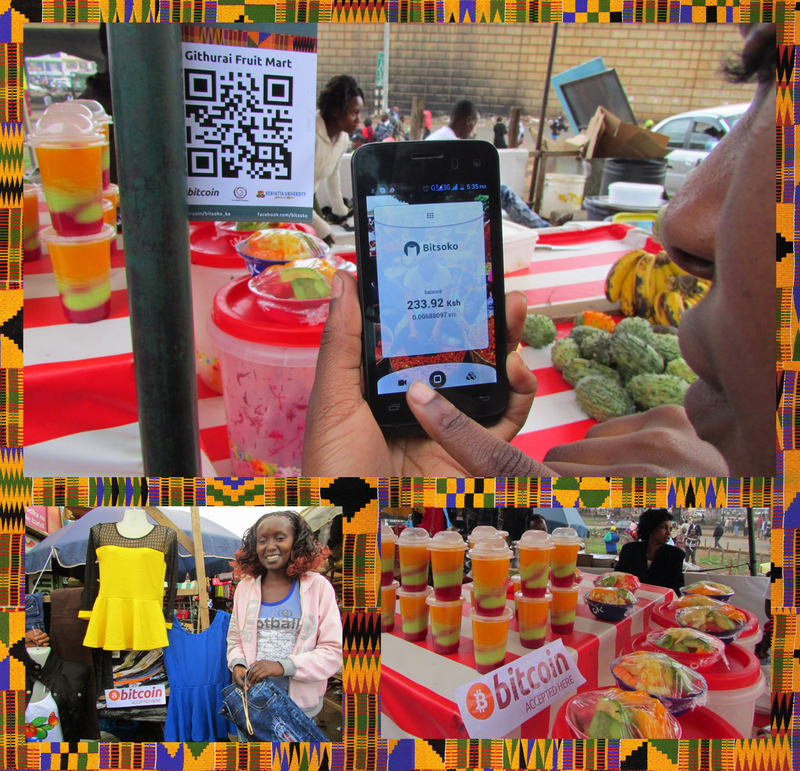 To find out more about what BitSoko has done, what BitCoin is, how to use the BitSoko App and when our next meet-up shall be held, please visit our blog. Corruption in government has, in the past, hindered and delimited innovation and the penetration of technology in Africa. However, we live in an age where knowledge and information cannot be curtailed. BitCoin gives people the ability to send and receive instant cash without necessarily passing through the mostly corrupt government channels, which seek to control and tax available systems of money transfer. 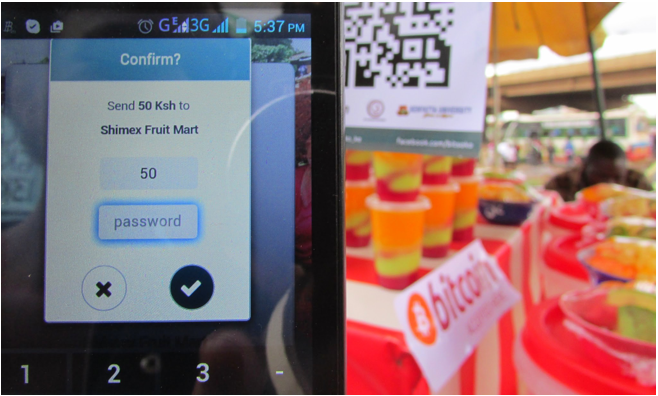 BitSoko is a BitCoin wallet that was specifically built with Africa in mind. It is a brainchild of born- and- bred Africans who grew up in Kenya. The young minds that started this initiative are based in Kenya and they have made it their lives’ mission to change money transfer across Africa. At the moment, BitSoko is working on a system that will enable people based in the grassroots to upload their projects to the internet and crowd fund their projects. This will enable them to attract the interest of willing investors and well- wishers from across the globe. In this manner, benefactors can directly contribute to local projects of their choosing without having to involve government (and the corruption that this entails) in their giving. In conclusion, Blockchain (as a system of trust) is the future. For the first time, Africa is developing into a hub of innovation. This is an incredible age for tech-savvy African youths to move along with the globe in terms of technology. At BitSoko, we stand to be counted among the rising African minds that will change the way people transact across the continent, in general, and the globe, in particular.